always welcome at Conchal Hotel! Welcome to the tropical paradise of Conchal! Best rates always found on our website! Please book direct for best rates guaranteed PLUS additional 10% discount in high season! Conchal Hotel is a small family-run boutique hotel, situated in the rustic pueblo of Brasilito in the province of Guanacaste, on the north Pacific “Gold Coast” of Costa Rica. The hotel is located a short 250 meter walk from Brasilito Beach and a little further to Playa Conchal or Conchal Beach, widely regarded as one of the finest beaches in Costa Rica. Our 16 guest rooms or ‘cabinas’ all feature A/C, refrigerator, ceiling fans, safety box, private bathroom and terrace area near the swimming pool. All rates include a delicious full breakfast, complimentary fresh drinking water and tea and coffee, available all day. Our onsite restaurant ‘Papaya’ is regarded as one of the best restaurants in the area. This region of tropical dry forest is known for hot sunny days, beautiful undeveloped beaches, and many exciting activities including sailing, fishing, kayaking, horse riding, hiking, zip-lining or canopy tours, birding, surfing, and scuba diving. 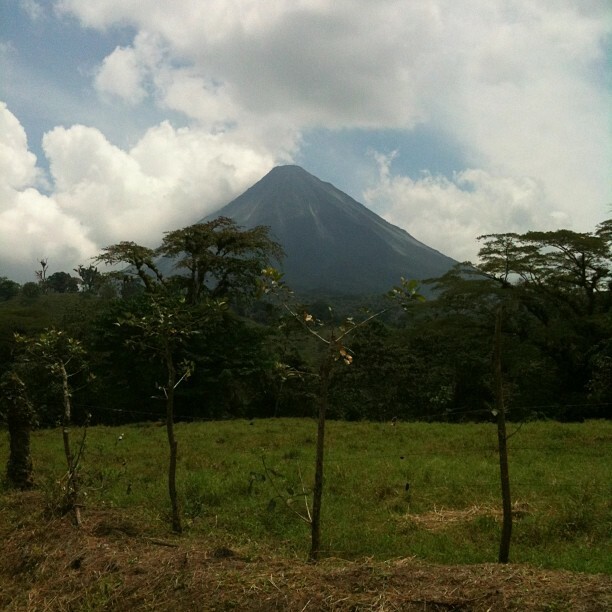 We are also within reach of National Parks such as Las Baulas, Palo Verde, Rincon de la Vieja, Santa Rosa and Tenorio. 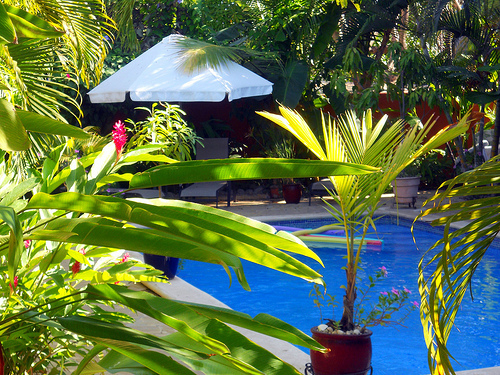 Tamarindo, Flamingo and Playa Grande are less than 15 minutes drive. 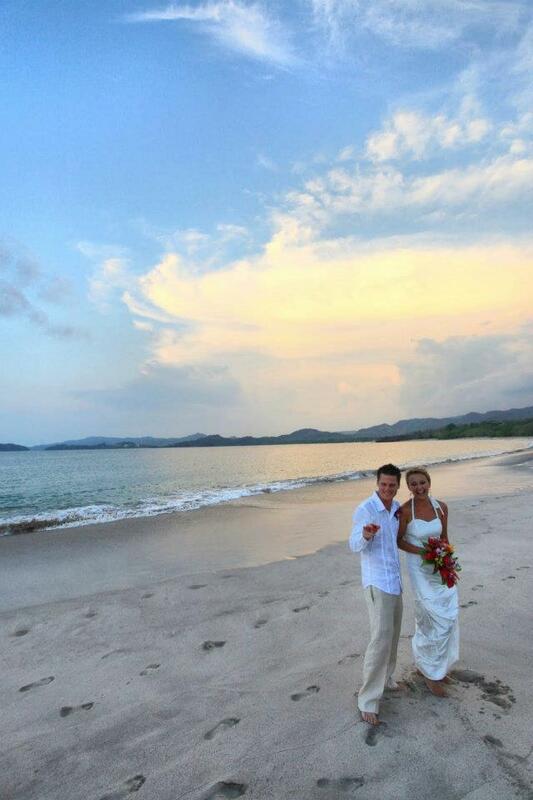 Guests are provided with very high levels of personal service in a comfortable, private and secure environment surrounded by the beautiful countryside and stunning beaches of the north Pacific coast of Costa Rica. This region is home to an great diversity of wildlife including howler monkeys, coatis, iguanas, exotic birds, and marine life including whales, dolphins, manta rays, and turtles including the endangered Leatherback or ”Baula”. Please contact us for special package deals including Arenal and Monteverde rainforests and beach stays, also for transportation options including airport transfers, shuttle buses and hotel options across the country. We look forward to assisting you in planning your vacation of a lifetime to Playas Brasilito and Conchal in Costa Rica and saving you $$$! Conchal Hotel in the press! It is very important to us that we are accurate in our description of our hotel and services, so our clients know what to expect on arrival. Our priority always is that visitors have a great vacation and choose the best accommodation for their needs. Please note that we do not define the hotel as a ‘resort’ . We are a small hotel so no swim-up bar, casino, children’s entertainment etc. Brasilito is a small, rustic, fishing village in a rural area of a developing country. If you are looking for a very touristic town this may not the place for you. If you are looking for a typical, largely unspoiled village, with some of the best beaches in the country within striking distance then this is the place for you! Please feel free to contact us if you have any questions before booking. A great place for peace and tranquility, great food and easy access to the beach, brilliant! The food is absolutely stunning. I have never had a better Tuna Carpaccio! Excellent pricing and the staff is always going above and beyond to make sure that every person is satisfied with their meal and experience at Papaya!!!! This is a MUST eat whenever you are in town. Great rooms and overnight experiences as well. Clean and comfortable rooms. The hotel and restaurant are 100% supportive of the local community and never hesitate to charity drives and the local communities needs. Selfless people and a great place. Our latest promotions and special offers! 4 nights relaxing at the beach! First trips to Costa Rica can be confusing to plan! We will work with you to plan your entire trip to save you time and money!! Hotels, transport, excursions - we can book it all - contact us today. We offer our clients many services and amenities to make your stay comfortable and secure as well as pleasurable. Rates include a complimentary breakfast buffet including tropical fruits, fresh juices, cereals and granola, tea and coffee, eggs and gallo pinto. Our on-site restaurant Papaya also offers lunch and dinner as well as snacks, tropical fruit smoothies and cocktails. The hotel also offers night time security and a refreshing swimming pool. Our full service tour desk offers daily shuttles, private transfers, tours and excursions, vehicle rentals and airport transfers. Let us help you to make the most of your time and money – we cut our commissions to offer discounted rates to our clients. Discover Guanacaste and the Gold Coast of Costa Rica! We await your visit! Reserve today and start to plan your perfect vacation! Conchal Hotel is a participating member a select group of boutique, small hotels near beaches, mountains, National Parks, and all offering nearby adventure activities.